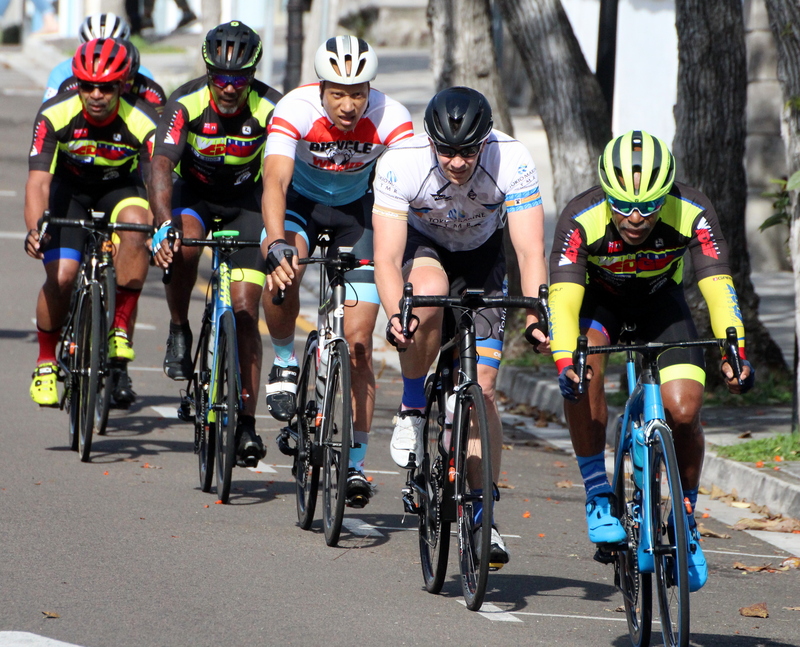 The 2019 edition of the Bermuda Bicycle Association’s Bermuda Grand Prix came to an end in the City of Hamilton. The Three-Day event concluded with a Crit, Dominique Mahyo took a 33 second lead into the final day in the Male A Division taking the title with an overall time of 2:41:38, Jamie Cousins was second with an overall time of 2:44.20 and Nicholas Narraway finished in third with a time of 2:44.23. Louise Well picked up the win in the Women’s Division with an overall time of 1:43.37, Karen Smith finished in second with an overall time of 1:44.01, Dianna White finished in third place with a time of 1:44.04. The Male B Division saw Nicholas Pilgrim who came in three seconds behind Clifford Roberts overcome the deficit when he clocked a time of 35.36 to finish with an overall winning time of 2:00.58, Roberts finished in second place with a time of 2:01.15 and Alan Mooney was third clocking 2:01.20.